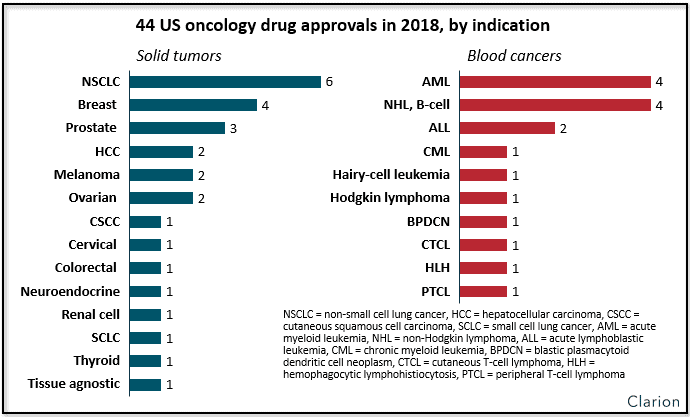 In 2018, the biopharma industry made groundbreaking advances in oncology with 44 drug approvals in the US. “The pace of progress in cancer treatment is extraordinary and is the result of our industry and research community pushing forward on all fronts,” observes Dennis Chang, principal at Clarion. 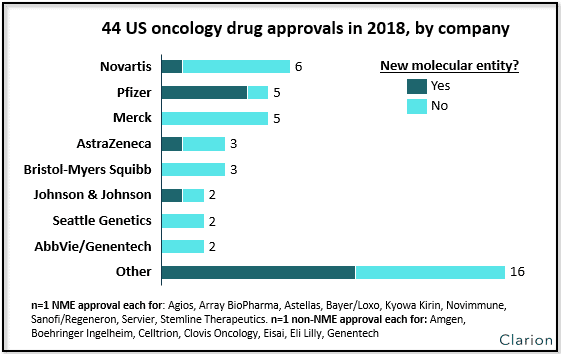 Below we highlight several of these approvals, encompassing multiple “firsts” and a range of diverse new treatments. If you are interested in learning more about Clarion’s work in oncology, please see the “Our Work” section of our website.